You don’t have to look any further for a good tree trimmer. Tom Bender is the guy for you. I have spent six weeks looking and waiting on these trimmers. They either didn’t show up or call, and if they came and gave me a quote, they would say….Gee I have to fix my bucket truck, keep on calling me. I would never hear from them, and they would not answer my calls. I called Tom out of the frustration, and we made a date for estimate. He showed up, and came with his crew the next day and did a wonderful job. He was generous on how much he cut for the price he charged. They cleaned up and left the place fine. You’ll be happy you used Benders Tree Service. Tommy was very professional and very reasonable. One phone call and the tree was removed, cleaned up, and I didn’t even know he was there that day! Thank you so much you saved my grass by getting there so quickly during the summer’s Hurricane. Highly recommended to all. Excellent service for small or large jobs. Very reliable, great work, and very reasonable price. Tommy was priced right and the job was done on time, what more could you ask for? He is my new tree guy, some of my friends have used him as well and everyone loves this guy, his crew is hard working and professional. His equipment is state of the art. He does whatever it takes to get the job done. Thank you Tommy. We have had the pleasure of using Bender’s Tree Service on several occasions, and we were pleased with a job well done. Bender’s Tree Service is prompt, reliable and highly professional. We were especially pleased with the efficient clean-up after the job was done. 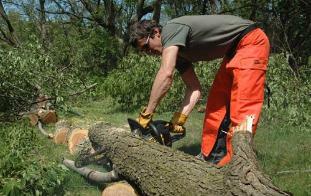 Living in a county where weather is unpredictable its good to know we have a tree service available to us 24/7. I highly recommend this service to all my friends seeking a proficient, well-established business with a people-friendly attitude and a willingness to serve the community. Prompt, professional and courteous service. I would recommend them highly to anyone in need of tree service.